Hey, y'all! I've been MIA this week because I went to the beach for a few days with most of the girls in my family. We had a relaxing time of sunbathing and shopping. (Well, I soaked up the shade under a tent because of my super-white skin, but they sunbathed.) It was really fun except for the when the awning on the camper broke and knocked my aunt in the head. Yeah, that was rather dramatic, but thank God she's okay! One morning, we had a "toenail party," and I painted everyone's nails and painted a design on each girl's toes. That's what I was up to this week, so I don't have a tutorial for you here. Never fear, though! I'm guest posting today at Unrefined By Design! 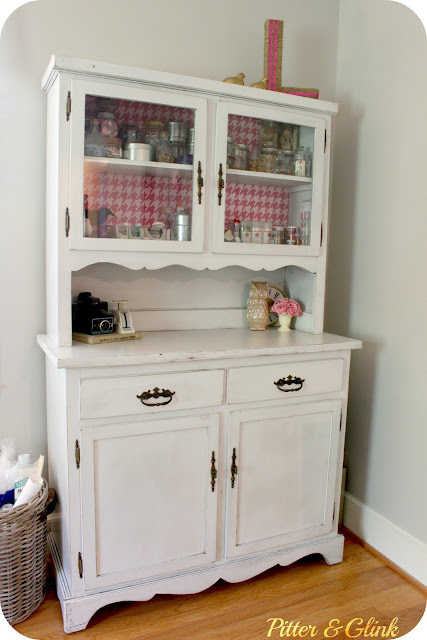 I'm sharing how I created the rope-wrapped L that's in my craft room on top of my hutch. What fun! The painted toes are super cool! those toes look great! can't decide which are cutest!